Tek-Gnostics Net: What is Your Purpose on Earth? 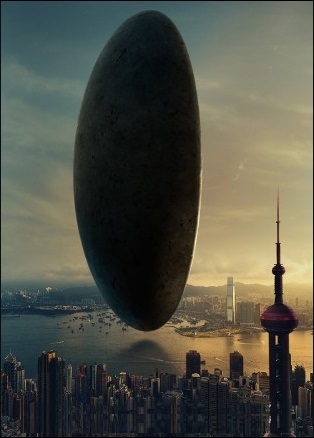 The 2016 science fiction film: "Arrival" is a somber, intelligent examination of the deep implications of "first contact." As the film opens, twelve massive extraterrestrial spacecraft suddenly and simultaneously appear at twelve different locations across our planet. In an attempt to understand the alien's intentions, the U.S. Government enlists the help of a talented linguist (played by Amy Lou Adams) to discover how to communicate with the aliens and why they have arrived on Earth. Science fiction, as a genre, has a way of becoming a very real information stream of possibility that is taken very seriously by its aficionados. For some, the subject matter and theme align with an understanding that the truth can be told more effectively in fictional form. For others, science fiction comes to represent more than entertainment... it becomes a gospel of truth... depicting the real story beyond the paradigm of shifting headlines… be it the latest on AI assimilation or Disclosure. In these confusing times, we find ourselves living in… in our “Brave Noö World” …truth has become stranger than fiction. The distinction between science fiction and fact has blurred. As we have indicated many times before on this weblog, science fiction is at its best, as a cautionary tale. In a fanciful, futuristic setting, it allows us to examine our assumptions, beliefs and prejudices to who we are, our relationship to ‘others’ and our place in the world. As the distinction between science fiction and fact continues to blur, the rise of ‘Ancient Astronaut Theory’ suggests our continued fascination with these existential questions. In an archived post titled: Science Fiction as Sacred Text, we examined the spiritual value of Sci Fi as a modern spin on ancient religious tales. To readers of this weblog, the connection between Sci Fi, ancient spiritual texts, and ancient astronaut theory is self-evident. The significant commonality that these seemingly divergent mediums share, is the central existential question… What is your purpose on Earth? Again, in these confusing times we find ourselves living in, this fundamental question has never been so important. In a world of social media and instant gratification (read: instant self-assessment/deprecation), it is increasingly easy to mistake the persona for the person… to mistake the ‘brand’ for the ‘being.’ Sentience is far more mysterious and profound than most of us are willing to realize. To completely buy-in to the commercialization of self, traps each of us in that infamous jailhouse of the mind: the Black Iron Prison. Questions such as these are apt to lead us down a labyrinth of philosophical quandaries. But we would do ourselves a great service to keep it simple… What is our purpose on earth? In our actions, are we part of the solution or part of the problem? Are we helpful or hurtful? At the end of the day, we all want to believe that we have done some good in this world… that we have contributed to the alleviation of suffering… that we, in some small measure, made our collective situation better. Now, let us turn to the utilization of Applied Tek-Gnostics as a psychonautical system. First and foremost, the core ethos of the Tek-Gnostics aggregated tradition is expressed eloquently in the universal teaching known as “The Golden Rule.” The Golden Rule or “ethic of reciprocity” is a globally prevalent ethical code of conduct. It has a long history, and a great number of prominent religious figures, philosophers and social commentators have restated various forms of this rule in numerous ways. The golden rule can act as a simple metric for self-monitoring. It is an elegant little ‘gut-check’ on whether or not each of us is pursuing actions that are benevolent… helpful to humanity and Mother Earth. We all have a part to play in manifest universe. Sci Fi, AAT and religious texts of all stripes, all suggest that we have purpose... that we were born into this existence, for a reason. 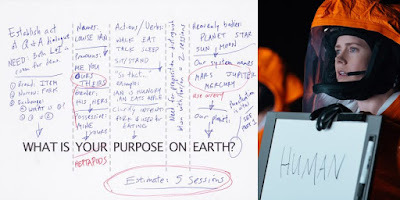 What is your purpose on earth? In the spirit of keeping these quandaries even simpler… here is a question to ask yourself in the course of your undertakings. Here is a measure of personal progress... a metric of compassion. If you can answer this question in the affirmative, you are on the right track... Are you Kind?